Turkish Foreign Minister Ahmet Davutoglu on Tuesday met with Malian Religious Affairs and Faith Minister Yacouba Traore in the Turkish capital, Ankara, AA reported. After the behind-closed-doors meeting, Turkish diplomatic sources said the Malian minister briefed Davutoglu over the latest developments in Mali and efforts to restore stability in the country. 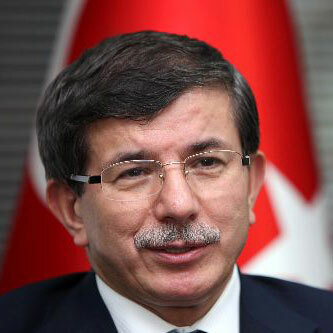 Sources said Davutoglu had conveyed Turkey's position and expectations regarding the situation in Mali, and he underlined the importance Turkey attached to efforts to maintain peace and security in the African country. Sources said Traore praised Turkey's constructive role in efforts to solve problems in Africa and he described Turkey as "a model country" for Mali.